The N25 New Ross Bypass PPP Project will comprise a 14km dual carriageway road including new sections of both the N25 and N30 National Primary Routes. The bypass commences at a roundabout junction with the existing N25 at Glenmore, Co. Kilkenny before crossing over the River Barrow on a 3 tower extrados bridge extending for approximately 900 metres from Pink Point in County Kilkenny to Stokestown in County Wexford and continuing until it ties in with the N30 at Corcorans Cross. 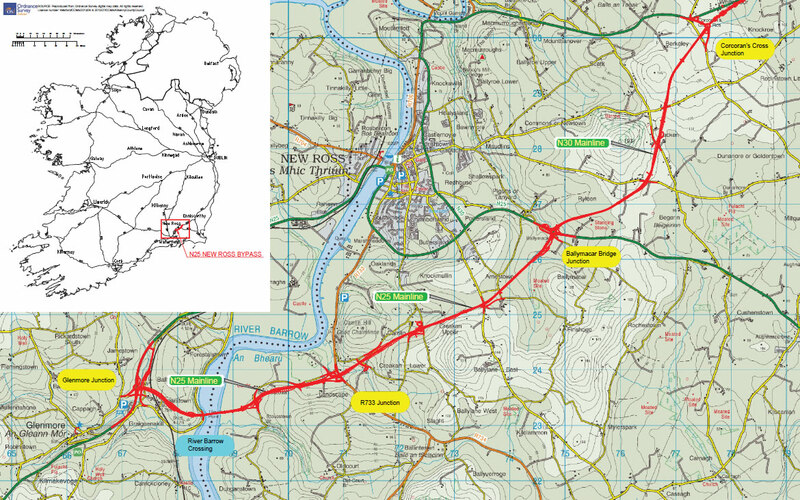 The landmark River Barrow crossing will connect Pink Point in County Kilkenny and Stokestown in County Wexford. 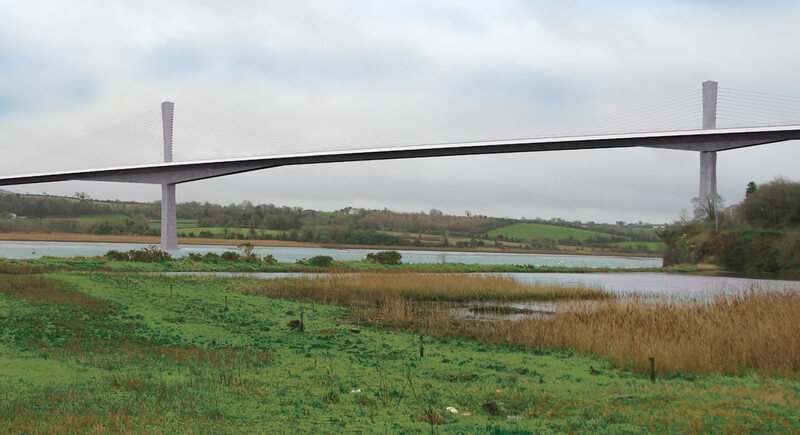 This Extrados type bridge, at 900m, will be the longest bridge in Ireland and the longest bridge of this type in the world. Seven local road under bridges, one at Ballyverneen, one at Stokestown, one over the R733 in Landscape (part of the grade separated junction), one at Creakan upper, 1 at Ballymacar and 2 at Lacken.